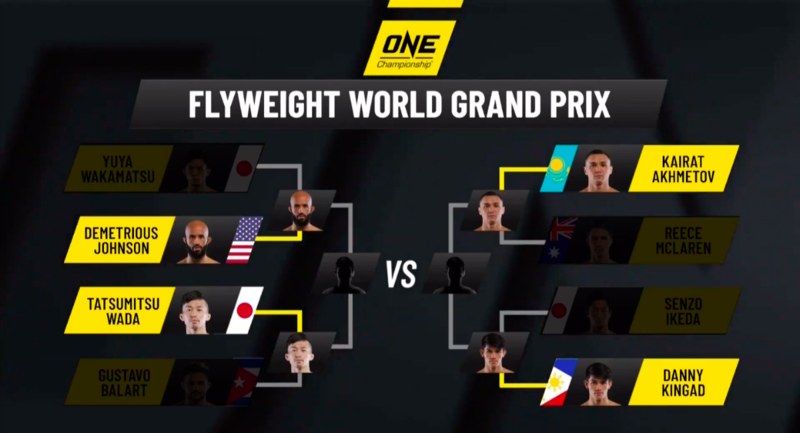 The quarter-finals of the ONE Flyweight World Grand Prix brought four bouts’ worth of fast-paced mixed martial arts action, and there is more to come. Now that the dust has settled from the last contest of the first round at ONE: ROOTS OF HONOR – following three matches at ONE: A NEW ERA – we are left with a quartet of athletes who will compete for a place in the final in the coming months. 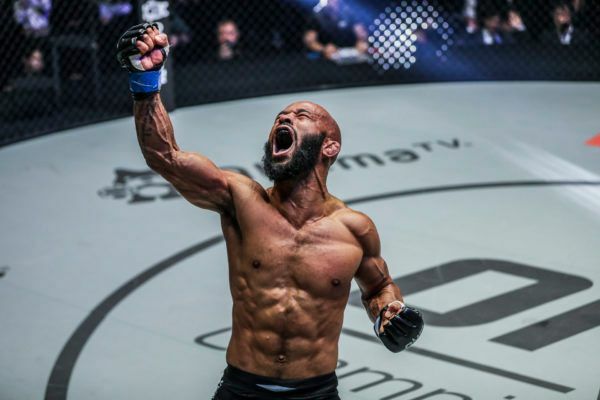 Danny “The King” Kingad will go to battle with Kairat “The Kazakh” Akhmetov, and Demetrious “Mighty Mouse” Johnson will meet Tatsumitsu “The Sweeper” Wada in a pair of semi-final encounters. If the tournament’s first round is anything to go by, these bouts should be full of surprises, and any fan that assumes they can predict what will happen is likely to be mistaken. However, when the contests begin, and we find out the answers to these questions, the identities of our two finalists may start to emerge far more quickly. #1 Will Akhmetov Stick With His Striking? Kairat Akhmetov kicks off the ONE Flyweight World Grand Prix by defeating Reece McLaren via unanimous decision in a spirited stand-up battle! Kairat Akhmetov surprised many fans by setting aside his elite-level Greco-Roman wrestling to focus on his striking against Reece “Lightning” McLaren. However, he may decide to go back to his specialist skills in his semi-final match against an unpredictable wushu expert in Kingad. 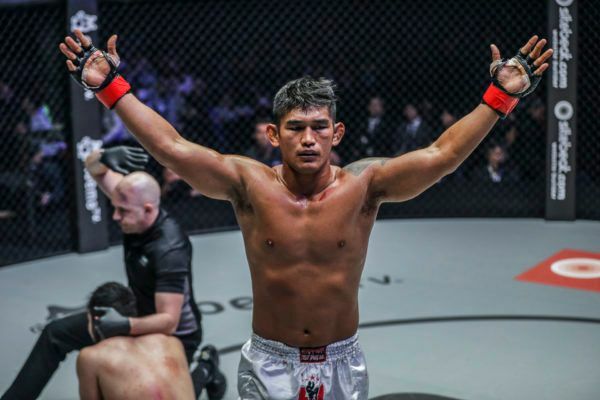 The Filipino is no slouch on the ground, but surely he will be no match for the former ONE Flyweight World Champion when it comes to grappling? #2 Can Kingad Stay On His Feet? Filipino phenom Danny "The King" Kingad punches his ticket into the ONE Flyweight World Grand Prix semifinals with a sensational unanimous decision win over Senzo Ikeda! Assuming Akhmetov does try and grab a hold of Danny Kingad, the Team Lakay representative must find a way to stay upright, or at least get back to his feet as quickly as possible. “The King” also does some good work when he is in top position, but it might be too optimistic to suggest he will be able to put a man who has practiced wrestling for almost as many years as the Filipino has been alive on his back. Instead, the 24-year-old will probably have to stay on his toes and move in and out to land his shots. That should mean he earns the judges favor, or even hit a knockout, while he stays well away from his opponent’s clutches. If the worst happens and he does end up on the canvas, he has proved he can scramble to safety against ground-game specialists, but he might prefer to stay vertical for as long as possible. #3 How Much Better Will Johnson Be? Demetrious Johnson makes a STATEMENT in his ONE debut, submitting Yuya Wakamatsu with a tight guillotine choke at 2:40 of Round 2! Demetrious Johnson admitted he felt under pressure in his ONE debut in Tokyo, Japan, and his performance was compromised as a result. 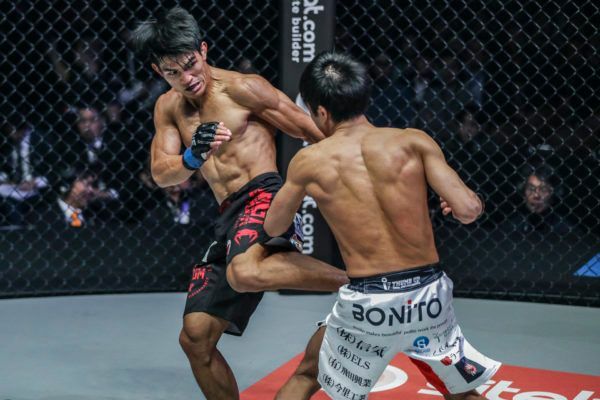 Though he defeated Yuya Wakamatsu with a spectacular second-round submission, the bout did not go all “Mighty Mouse’s” way, and he had to battle through some adversity to progress to the semi-finals. If that was Johnson at less than 100 percent of his powers, how good could he be when he is firing on all cylinders? With thoughts of jitters in the rearview mirror, the record-breaking mixed martial arts World Champion should be free to perform at his brilliant best, which could be bad news for Wada. #4 Can Wada Harness His Reach Advantage? Japanese superstar Tatsumitsu Wada punches his ticket into the ONE Flyweight World Grand Prix semifinals with a unanimous decision win over Gustavo Balart! Tatsumitsu Wada took all three judges’ scorecards against Gustavo Balart, but he did not have the whole bout his own way. However, the Japanese star got the nod because of his striking – whenever he kept the Cuban at bay with long, straight punches, he looked great. He stayed well clear of danger, kept scoring, and did plenty of damage. There are not many ways to defeat Johnson, but Wakamatsu showed he is not invincible when he hit him hard in the early moments of their encounter. Wada can pump a jab, fire his cross, and stop his upcoming opponent from getting inside to do what he does best. That will be easier said than done, though. "The Kazakh" reveals all about a career-defining win in the ONE Flyweight World Grand Prix and plots his future. The American legend talks about his big win over Yuya Wakamatsu, and the journey that lies ahead. What Could Be Next For The Big Winners Of ONE: A NEW ERA? 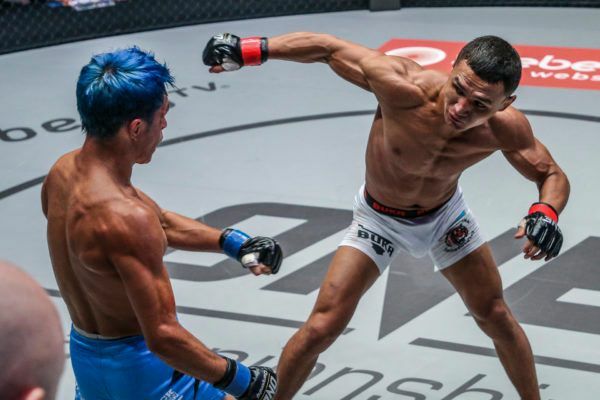 These opponents could be next for the biggest victors from ONE Championship’s biggest event yet. “The King” defeated the Pancrase Flyweight World Champion in thrilling fashion at ONE: A NEW ERA.